Last month I showed you my fall haul and I knew straight away I wanted to do a lookbook using many of the items from that video. By now I have had some time to play around with these pieces and had lots of ideas on how to wear them. That is why I decided to create a fall 2018 lookbook for you. I love lookbooks for outfit inspiration, so I did this video as much for myself as I did it for you. I hope you enjoy! In this lookbook I am featuring 8 items using as many new pieces as possible. However, I used plenty of old favorites as well. 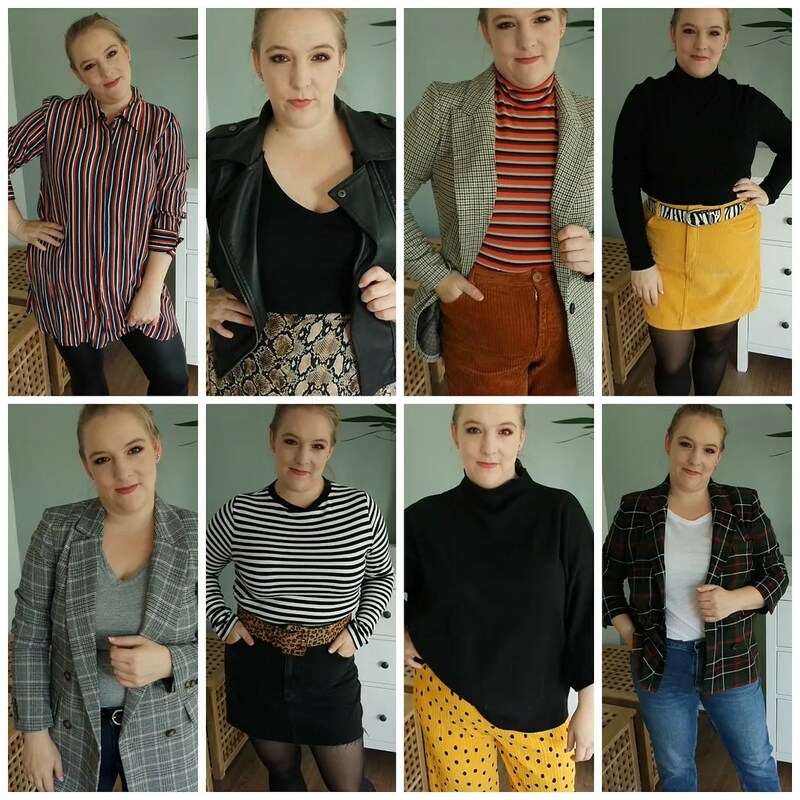 All of these outfits are quite casual, but this is the type of thing I could easily wear to work (as I do and have done already with some of these outfits). And if we are to discern a theme in what I am liking to wear I think it can be summed up as follows: mustard yellow, blazers, stripes and mixing patterns. It is rare for me to create a lookbook without featuring a dress, but there is a first for everything! Yes, I am stalking your blog, and it has made me realise i do not have enough blazers in my closet! Hahah I do not mind! Thanks for all your lovely comments. No way I can pick a favorite. Loving them all! The plaid, the blazers, the stripes, the mustard yellow!!! I haven’t been wearing blazers lately, but definitely feeling inspired. And I need to pick up a black turtleneck. I’m really having a blazer moment right now. I usually hate blazers as they make me overheat too easily, but I am glad I was able to find a couple of good ones this season.